Can Technology Be More Human Than an Actual Human Interaction? I recently had to actually drive to my bank to deposit a check. Aside from 2 receptionists there wasn’t a single customer service person to be found (you may be familiar with the archaic term, ‘teller’ – – or the archaic term ‘check’). At any rate, no tellers in this bank. There was, however, a Las Vegas-style array of video tellers, and my instant reaction was ‘great, this is the bank version of phone customer service hell’. My actual experience was terrific. in this case, technology enabled a customer service interaction that was polite, competent, quick and personable. What everyone wants, but without an actual face-to-face encounter. Sounds almost blasphemous. Of course, this approach started as a way to cut costs, by pooling resources centrally and deploying dynamically based on demand, rather than having to staff a large number of branches. How can what is essentially cost-saving technology surpass the traditional gold standard of a smiling face in front of you? Instant gratification. Because there are a lot of them in one location, a customer service rep was immediately available. No wait = good. Great video quality – – clear enough so that facial expressions were easily visible, in either direction. So a good percentage of the personal interaction was preserved. It happened to be my birthday (yes, and visiting a bank made it even more special) – – and to my surprise my CSR wished me a Happy Birthday. My account info apparently flagged this on her end, and gave her the opportunity to delight the customer – – which she did, in a very cheerful way. Sometimes it’s the little things that count, and this one gave my CSR the opportunity to make a personal connection – – which she did. Compare this with the traditional experience of potentially waiting for a clerk, who then might mechanically take care of your business because he or she does this a thousand times a day. Maybe, just maybe, as technology and data use continue to mature, there may actually be hope that we won’t totally have to discard our humanity just to get a little service. Now let’s see if we can do something about humanizing customer service experience just about everywhere else. Posted in Customer satisfaction, Technology and tagged Bank, bank teller, Customer Service, Video teller. Bookmark the permalink. Sometimes we need to be reminded that simple customer satisfaction is almost always the goal of most businesses – and that policies and procedures are merely means to that end. A recent, hard-to-believe experience brought this to my attention. While getting my ears lowered at my local chain haircut emporium (whose name still escapes me even after years of visits) a man came in who had apparently booked an appointment online for himself and his son. The man was called up but asked that his son go first. The employee said that this was not possible; the computer indicated that he, not his son, was in the first position, and that it was corporate policy to do what the computer said. The man politely but firmly mentioned that the online booking program does not allow one to enter preferences or even names of people; the order of haircut is randomly assigned – – and since it involved two family members (as opposed to two strangers), the order of haircut shouldn’t really matter. Incredibly, the employee still refused to let the son go first, claiming it was “Corporate policy”. The man understandably was confused and frustrated, but out of a surplus of good cheer he managed through the situation (after getting a more empathetic but no more satisfying repeat of the message from the store manager – “I’ll be sure to bring this up with Corporate”). Now, I’m a big believer in insight-driven marketing; as described above it’s what one might call the ‘long road’. HOWEVER, when the customer is standing right in front of you (or is on the phone, or in an online chat) the opportunity to create satisfaction is immediate – and needs to be taken! As we enter the high holy season of shopping, this would be good for retailers to remember. Posted in Customer satisfaction, Marketing Strategy, Retailing and tagged customer satisfaction, Customer Service, online booking, shopping. Bookmark the permalink. A pair of recent customer service experiences (one very good, one not so good) inspired this post. (If you’re in a hurry, my POV is at the end.) If you stick around, I’ve included some juicy case studies. These experiences made me wonder – what is the essence of good customer service? Do those famous over-the-top examples make good financial sense? 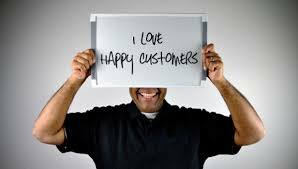 I’m no customer service professor, and this subject has been covered countless times, but I do have my opinion (and this is my blog /bully pulpit) – but customer satisfaction does not seem directly related to dollar value. Good deeds are similarly great opportunities for spreading positive stories – circulated via social media, they often create value much greater than paid advertising. Here are a few great examples. Check out the Netflix live chat example (#3) on the Helpscout link – – very fun. Two recent personal experiences shaped my opinions of companies. My carry-on bag’s handle failed after hundreds of trips. The brand is High Sierra. 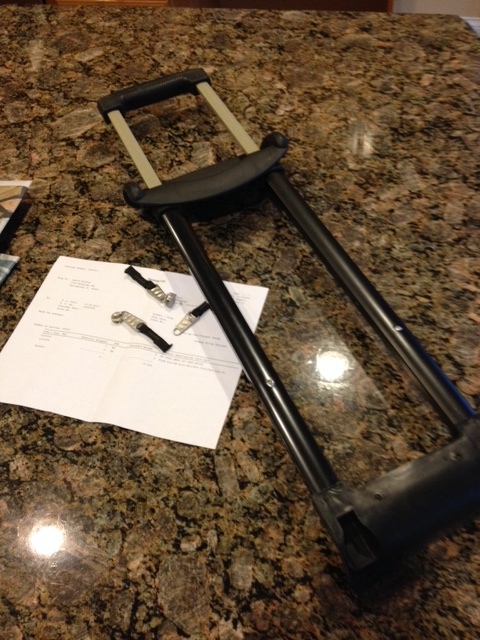 I contacted them online and explained my issue, with photos (as they requested). My goal was to find a repair shop. I had mentioned that I ideally would like a fix by the weekend as I was traveling on Monday morning. It was Thursday. 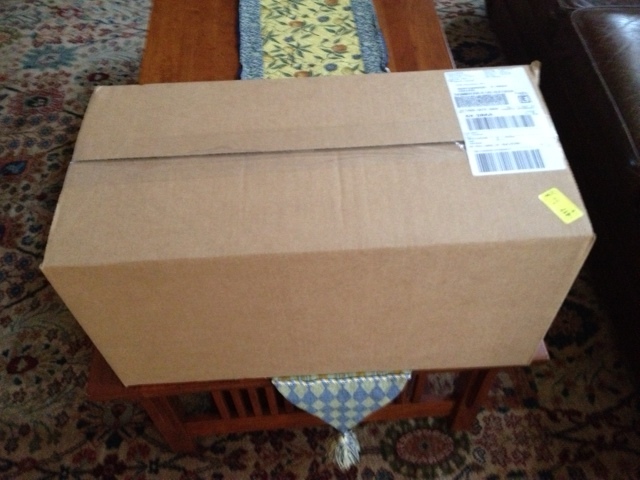 On Saturday morning I received, by FedEx, a large box containing a replacement handle, with a few extra zipper pulls thrown in (which came in handy). A few minutes and I had the handle replaced and was good to go. At zero cost. Fantastic! The brand is High Sierra. High Sierra. High Sierra. They are now owned by Samsonite. Kudos to Samsonite for allowing this business unit to take care of customers in a highly personal and attentive way. High Sierra. I have 2 other bags from High Sierra and you can bet that they get right of first refusal on the fourth. 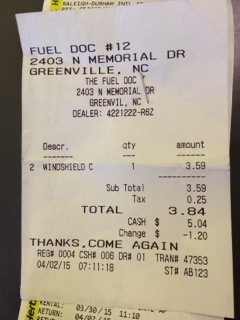 A recent Avis rental came with no washer fluid, which I bought later for $3.84. In returning the car I requested that this amount be taken off my bill. In similar situations with other companies the response was usually immediately taking one of my rental days off the bill and getting me on my way. In the case of Avis, it eventually required the attention of 4 Avis people. The agent receiving cars didn’t have authority; the front desk clerk didn’t have authority; the manager had authority but couldn’t make a system input; finally the 4th employee was able to input the solution. Total time for a $4 issue? 20 minutes. And the solution? A $10 voucher, which means they didn’t actually refund anything. Worse, this delay caused me to miss an opportunity for an earlier flight. So, what is the secret to customer service? BE CUSTOMER CENTRIC. Simple as that. Let the customer know they have been heard – this alone is more important than any dollar amount of a solution. Treat the customer like a human. Stay off the scripts if possible. You don’t have to pretend to be Captain Kirk (see Netflix example above) but a personal touch is incredibly effective. (By the way, insider tip: as a customer, treating any customer service person or clerk or waiter or sales person etc like a human being almost always yields positive experiences). Demonstrate that the customer is priority #1, company is priority #2. Avis was clearly all about Avis. Delays in response exacerbate frustration. Speedy response shows that you are listening and can nip negative feelings in the bud. Going above and beyond has significant upsides – you want to be on the ‘best customer service’ blog post, not the ‘disaster stories’. And a few well-placed good deeds can get a ton of mileage (see links above). And Avis? They worked to win a little battle, and lost a round in the war. They will get less consideration from me next time around. Try Harder? Good idea. Posted in Branding, Marketing Strategy, Social Media and tagged Amy’s Bakery, Avis, Customer Service, High Sierra, L.L. Bean, Nordstrom, Samsonite, Satisfied customers, Warby Parker, Zappos. Bookmark the permalink. Dad used to say “If you don’t have anything nice to say, don’t say it”. Mom prefers the double-positive version. What if people spent the same energy to praise good deeds as they do publicly complaining? Someone rub you the wrong way? Got your knickers in a knot? Well, post it somewhere and see if you can get it to go viral. It’s easy to rage publicly over real or perceived slights. We can turn millions against a company, deserved or not, while we bloviate in anonymity with no repercussions. It’s like punching the schoolyard bully in the face remotely from your basement. And generally, it’s how a lot of people tend to roll. Well, sometimes companies actually do good things due to someone’s actions; unfortunately people seem to be less motivated to share when things turn out well – – isn’t that what we’re entitled to? – – so you’re not likely to hear about it. And so the story of United Airlines, my mom and the lost jewelry. But first a quick bit of context. Remember the ‘United Broke My Guitar’ guy? Back in 2009 United Airlines broke his guitar and refused to compensate him for it. In frustration, he posted a song on YouTube (13 million hits), wrote a book, and became something of a travelers’ cause célèbre. Ultimately, of course, United realized it had screwed up, rightfully made him whole, and learned a painful lesson about ‘an ounce of medicine’ or something like that. 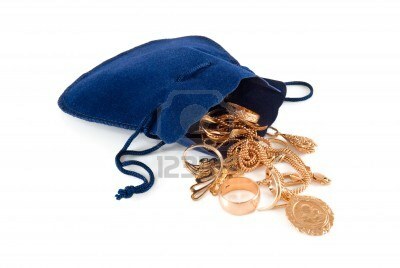 This weekend my 82 year old mother flew into town and discovered she had lost her jewelry bag. 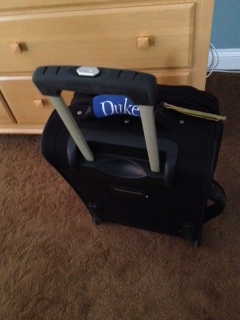 On her return trip, since she of course gets to the airport 4 hours early, she had time to check United lost & found. Lo and behold, not only did United have it, but the jewelry bag was immediately returned to her, intact and untouched! It apparently had slipped out of her bag in the overhead compartment on the way over. This means not only did all the passengers, staff, and cleaning crew ignore a temptation, but somehow THE SYSTEM WORKED: It found its way to Lost and Found, was properly coded into the system, and a United representative was actually able and willing to locate it and immediately give it back to its owner. Wow. I don’t know about you, but I lose more than my fair share of things and I NEVER get anything back. And this was a jewelry bag within a complex system with thousands of flights and hundreds of thousands of passengers daily. (Full disclosure: it was costume jewelry – – Mom’s been to the rodeo a few times – – but they didn’t know that). This must happen with some regularity. So why don’t you generally see companies praised publicly for excellent customer service? Mom has been a professional pianist for over 60 years and is in fair voice, so she could do her version of Guitar Guy on YouTube, but she has a full schedule of 35 students a week and like all of us, is too busy. I also suspect that praising a big company just isn’t cool; you’re not sticking it to the Man when you say something positive. This will be just one of many transactions of this United representative, the majority of which likely won’t have as happy an ending. And that’s too bad. Maybe the readers of this post could forward it to a few people as a reminder that sometimes good things happen because someone gave extra effort, and that it wouldn’t be so bad to send out an Attaboy once in a while. See if you can get it picked up. You might just make someone’s day. Here’s a little primer on how to get started. Posted in Marketing Strategy, Social Media and tagged Customer Service, Jewelry, Online Compliments, Positive Comments, United Airlines, United Broke My Guitar. Bookmark the permalink.